If you live in a metropolitan city, chances are, you’ve heard of Venky’s. They make yummy ready to eat frozen chicken products, along with selling raw chicken. So when Venky’s came to us looking to establish a chain of quick service takeaway places across the country, we were more than happy to oblige! 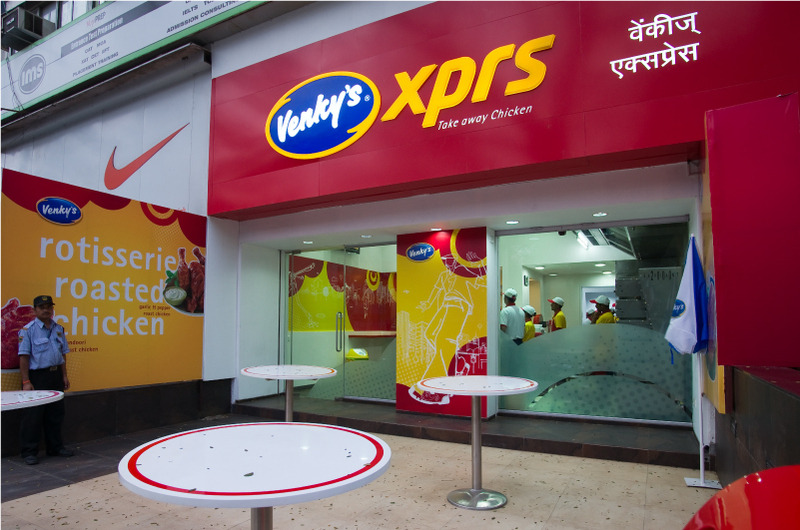 Our main focus was designing the outlets to appeal to the youth, while doing justice to the Venky’s brand name. We designed a sleek, minimalistic ambience, tongue in cheek humour with bold colours making it easily noticeable. We really had to look back to our own youth and do some surveys with the current youth and their hangouts to find their preferences, trends and comfort zones. What better way to connect with youngsters, than to include SMS language as a part of the name? 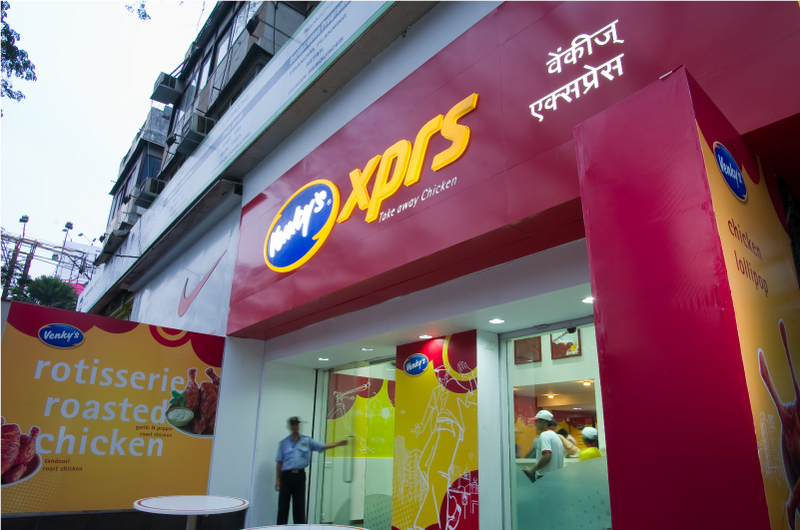 Xprs worked great with our value proposition for the brand, and Venky’s xprs was launched in Pune in 2010. It now has more than 25 outlets across India, and is a healthy takeaway option preferred by thousands of chicken lovers!